Energy Advantage Low-E Glass is a high performance, energy efficient window glass made with an invisible coating that blocks heat flow. This special coating helps separate heat from cold. In winter, heat stays inside, where you need it, to keep you warm. Energy Advantage Low-E Glass is 2 2/1 times better than ordinary clear glass at keeping heat inside in winter. In summer The Low-E Glass helps keep heat outside, so you can stay more comfortable. cost-efficient, and works well with Low-e coated glazing. The glass panes are separated by a spacer at the edges. This thermal Edge Spacer creates a "warmedge" which will reduce winter condensation and raise the temperature of the glass edge in your sealed unit. We also provide the uPVC Brickmould for your window. It is made and installed in-house according to your windows sizes and specifications. 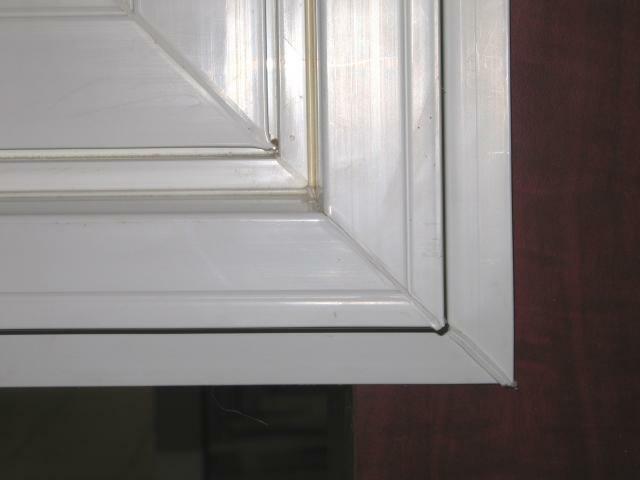 This option is used to give the installed window a cleaner look, Instead of using the regular Aluminum Flashing.